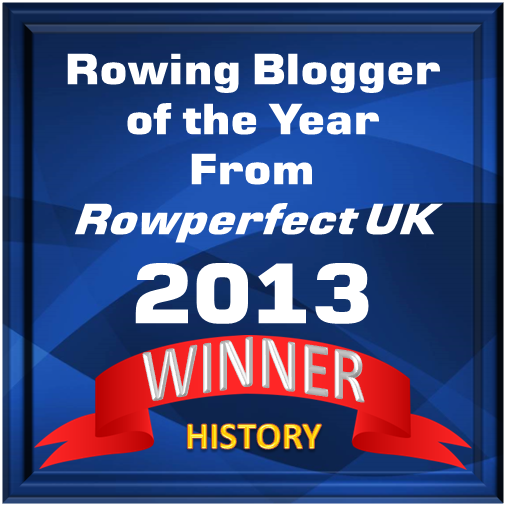 “The last time I raced at Henley was in 1980, in the final of the Silver Goblets. It was a very bad year to pick. The regatta had been overrun by the American Olympian squad who were looking to kick some sand into English faces after their boycott of the Moscow Games. If Hugh Laurie is now a famous actor, his father will still be the more famous oarsman of the two. Ran Laurie, born in 1915, rowed in three victorious Cambridge boats, 1934, 1935, and 1936. Laurie stroked the two last ones to easy wins. Jack Wilson, who would become a great friend of Laurie’s, was in the same three crews. When Laurie stroked the British eight to a fourth place at the Olympic Games in Berlin in 1936, with Wilson not in the boat, Laurie “attributed the difference between first and fourth place at the Olympics to Wilson’s absence from the crew,” Christopher Dodd writes in his obituary of Ran Laurie (The Independent, 10 October 1998). Both Laurie and Wilson joined the Sudan Political Service in 1936. Two years later, in 1938, when both men were on leave, they entered the Silver Goblets at Henley for fun, and won the final easily. Laurie had earlier won the Grand Challenge Cup for eights at Henley in 1934. Laurie and Wilson both stayed in Sudan during the Second World War, but when they both came back to England with their families, they returned to Henley in 1948 for a second go at the Silver Goblets – and won easily again! 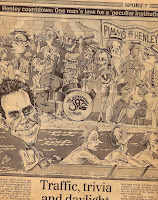 As Henley was a qualification regatta for the Olympic rowing events in Henley later that year, the “Desert Rats”, as they came to be known, suddenly found themselves representing their country at one of the prime rowing races in the world. They trained at Cambridge for four weeks – and drew extra food rations – and in the Olympic race they managed, according to Laurie, to have “the best row we ever had” winning the Olympic title with a length. Their shell is now on display at the River and Rowing Museum in Henley-on-Thames. It would take 40 years before another British boat would take an Olympic gold medal in the coxless pairs, this time the winners were Steve Redgrave and Andy Holmes in Seoul in 1988. Jack Wilson, born in 1914, died a year before Ran Laurie, in 1997. As a matter of fact, Wilson was born in Bristol, Rhode Island of British parents. Next time my family and I drive through Bristol, I will take off my hat in respect. 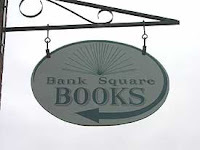 Maybe not a large group, but a very strong one, gathered at Bank Square Books in Downtown of Mystic on Tuesday, May 26 for “A Rowers Evening”. Dana Avery of Mystic River Boathouse in Noank and representatives from almost all the organizations that are involved with rowing in the Mystic area were there. Dana had brought a single scull and a rowing machine, and while the movie True Blue (for some unknown reason in the U.S. called Miracle at Oxford) was running on a computer in the background, rowers, coaches, customers – especially a very nice couple from England – and bookstore owners and staff were chatting about the wonderful sport of rowing. I was very happy to see that the bookstore had managed to get some copies of Frank Cunningham’s book The Sculler at Ease, first published in 1992, and re-published in paperback in 1999. If you would like to get hold of a copy of Cunningham's wonderful book, please call the bookstore at 860-536-3795. In stock right now are also hard-to-find books like Tom Weil’s Beauty and the Boats and Ed Monahan’s Rowing Retrospections. 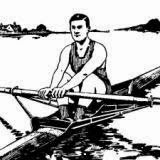 One of Sweden's most famous authors, Frans G. Bengtsson, wrote in one of his essays: "... for if a man is to live happily he must have water to look at..."
It is in this study - by the rest of the family called "The Rowing Room" - I write my entries to this blog and other pieces on rowing. It is not strange that my family has given the room that name as I am surrounded by "rowing stuff" there: rowing posters, rowing books, rowing magazines, and some few pieces of rowing memorabilia, etc. It is also here on the bookshelves that I keep my books by Frans G. Bengtsson. Bengtsson was born in 1894 and was a poet, essayist, critic, and novelist - a true man of letters. Nowadays, Bengtsson is best remembered for his Viking novel about Röde Orm (Röde Orm, two volumes 1941 and 1945), which was given the title The Long Ships when it came out in an English edition in 1954, the same year Bengtsson died. And let it be said at once, the translation by Michael Meyer is brilliant. 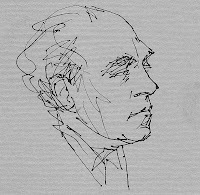 Michael Meyer (1921-2000), an Oxford poet and one-title novelist (The End of the Corridor; 1951), was asked to translate Bengtsson's Viking novel. Many other English translators had refused to translate it, as, Meyer writes in his witty essay "Frans G. Bengtsson to his translator", the "money offered was so pitifully low, ten shillings [...] a page." But Meyer decided to have a go at it, and the Swedish author, who had a degree in English, promised to check Meyer's translation. The result is luminous. If you decide to only read one Swedish novel in your lifetime, The Long Ships has to be it! I had the great pleasure to meet Michael Meyer at a lecture and dinner given by the "Frans G. Bengtsson Society" in Lund, Sweden in September 1995. It was the most funny and enjoyable lecture and dinner party I have ever attended. Two years later, in a small pamphlet printed by the society, Michael Meyer had his essay "Frans G. Bengtsson to his translator" published, together with a piece about Bengtsson and the Scottish author Eric Linklater written by - I am honoured to say - yours truly. 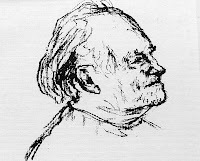 After translating Bengtsson's book, Meyer would later translate plays by Strindberg and Ibsen, and also write highly praised biographies about these two Scandinavian playwrights. Meyer would also write a couple of plays himself. If you are interested in Meyer and the London theatre life in the 1950s, 1960s, and 1970s, do read his very entertaining autobiography Not Prince Hamlet - Literary and Theatrical Memoirs (1989). "In his old age, Orm used to say that this period in his life was lengthy to endure, but brief to tell of, for one day resembled another, so that, in a sense, it was as though time was standing still for them. But there were signs to remind him that time was, in fact, passing; and one of these was his beard. When he first became a slave, he was the only one among them so young as to be beardless; but before long, his beard began to grow, becoming redder even than his hair, and in time it grew so long that it swept the handle of his oar as he bowed himself over his stroke. Longer than that it could not grow, for the sweep of his oar curtailed its length; and of all the methods of trimming one's beard, he would say, that was the last that he would choose." And thirsting I did good slaughter. All praise to thee, Gorm's gracious heir! Thou knowest my favourite water!" I have earlier written an article about Frans G. Bengtsson, Vikings and how my old rowing coach, Tore Persson, at my rowing club in Malmö, Sweden, ended up in a Hollywood movie by Kirk Douglas, The Vikings. If you would like to read the article, please click here.